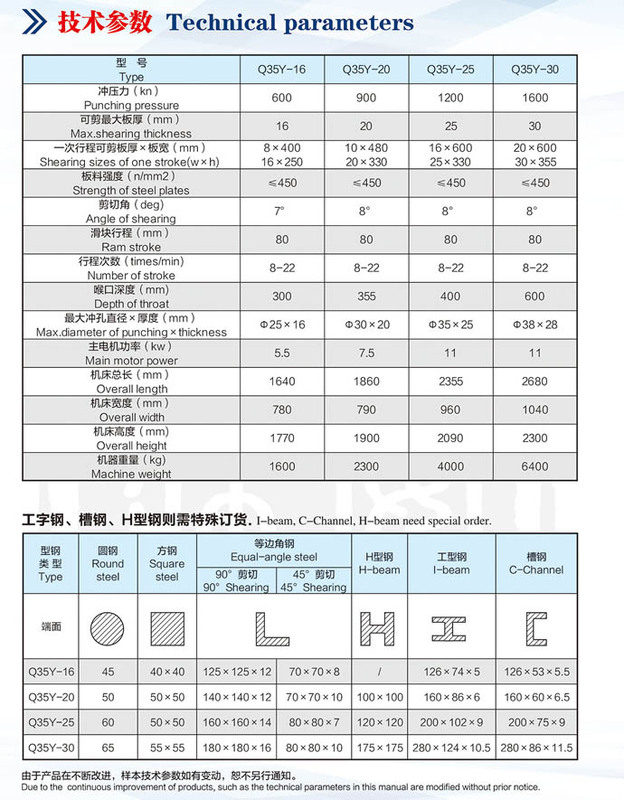 1、The machine is effcient,intelligent temperature control,Double machine linkage,shear and punching position can be two people at the same time. 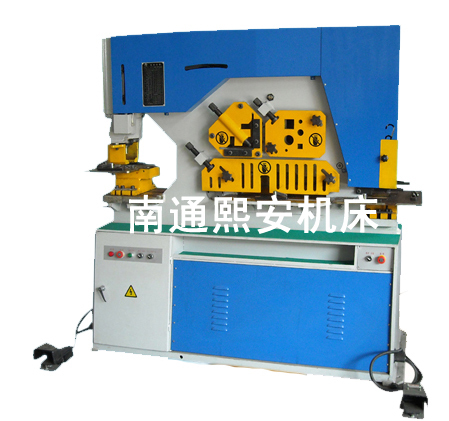 2、The machine with automatic holding system,increase productivity and reduce labor intensity. 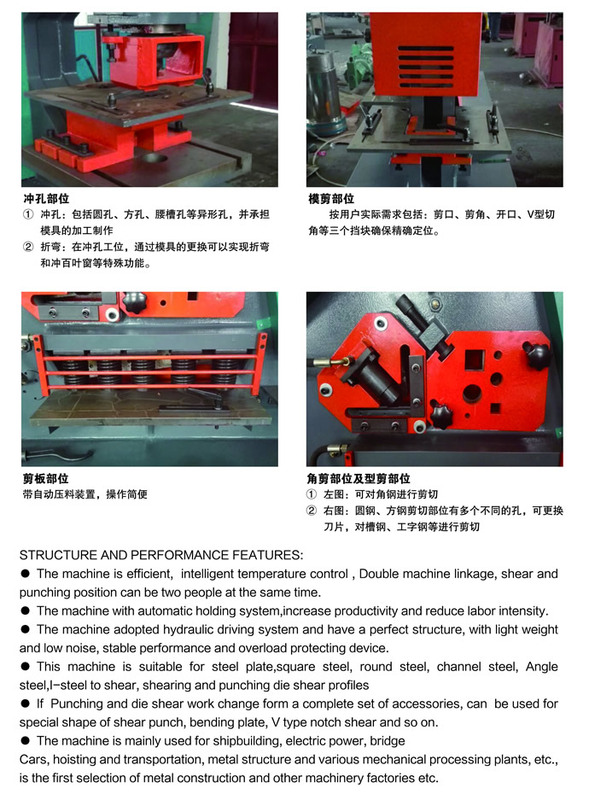 3、The machine adopted hydraulic driving system and have a perfect structure,with light weight and low noise,stable performance and overload protecting device. 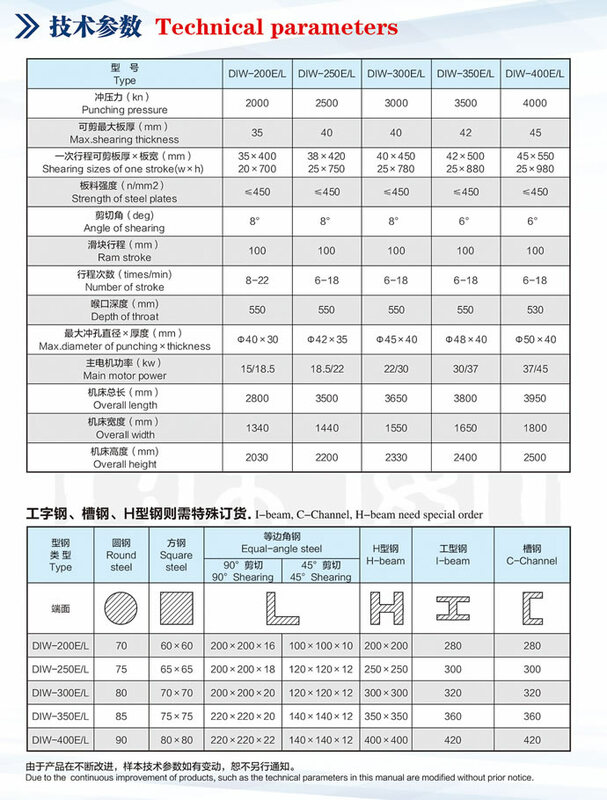 5、If Punching and die shear work change form a complete set of accessories,can be used for special shape of shear punch,bending plate,V type natch shear and so on. 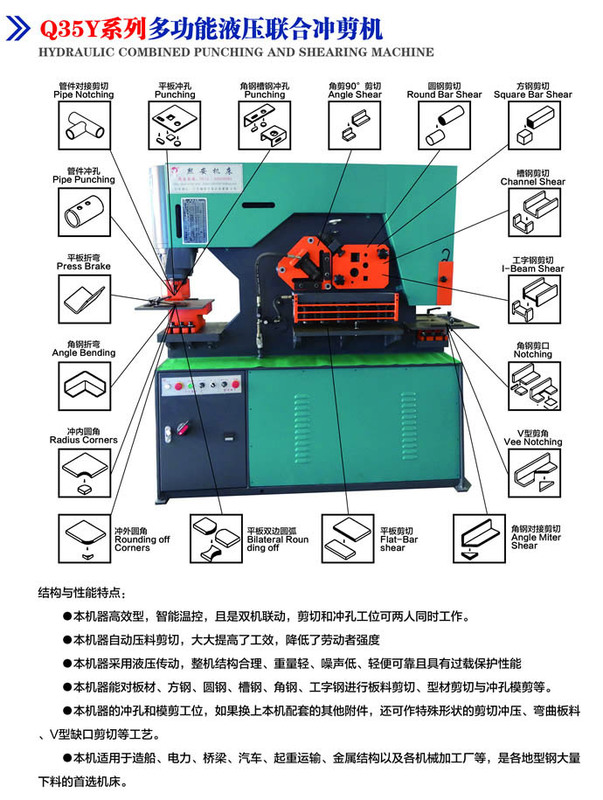 6、The machine is mainly used for shipbuilding, electric power,bridge Cars,hoisting and transportation,metal structure and various mechanical processing plants,etc,is the first selection of metal construction and other machinery factories etc.